Tropical rainstorms that go on for days are no fun, so we hid in one of the prettiest marinas in Malaysia to escape, but the rain kept coming and the mould kept growing… Then the sun came up and we had some close encounters with containers in the Singapore shipping lanes! This is our 100th episode on YouTube since the first vlog after our refit, published on 9 May 2015. Back then Jamie was tackling the usual boat chores, Liz wasn’t catching any fish, Millie was thinner and the weather was still hot. If you’ve watched some of our earlier output you’ll understand why we’re embarrassed about the rudimentary editing, video and sound quality! And we hope you will have noticed the improvements we have been making. 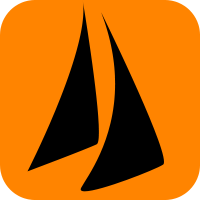 The really exciting thing has been to watch our sailing channel grow, and to read the increasingly informed and entertaining comments. We have a fantastic community of subscribers and followers here on the blog, as well as Youtube and social media. 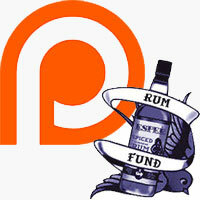 And the most generous group of individuals who support us on PATREON and through the RUM FUND. Not only has this fantastic generosity enabled us to upgrade and add to our camera equipment, but we have bought better laptops and sound gear, and now have access to some of the best editing software available. Without your encouragement we would not be producing such regular videos or be able to continue to push and stretch our imaginations, both in terms of creativity and sailing to new destinations. Ep 24 To the bat cave! Ep 44 The best tropical island in the world? Ep 46 Cheow Lan Lake + Can Women Sail On Their Own? Ep 38 We’ve Got A New Engine! Will We Sink? Doh! We are in Krabi Boat Lagoon, working on our new dodger. Off for a week’s sail, then back till it’s completed along with new rigging, painting, s/s work…you know what it’s like! Would love to come to Nongsa at some point! Peace and fair winds!